Air conditioning, in some parts of the world, is a complete necessity. Imagine living in Florida during the summer and not having a high quality AC unit… You would be spending a lot more time in the water, that’s for sure. And while our ancestors may have suffered away in the summer heat, we live in better times. The United States uses more air conditioning than all other nations combined across the globe. In fact, 84% of homes across the U.S. have some sort of air conditioning setup. Unfortunately, not all of those properties have fully functioning air conditioners. That’s why it’s essential for every homeowner to not only have efficient AC units running inside the home, but to make sure you are up to date on all of your air conditioning repairs. Dirty filters — A dirty or clogged filter can significantly restrict airflow throughout your AC unit and hinder its efficiency rating and its ability to cool your home. You should be regularly cleaning and unclogging your filter yourself, but if it’s too dirty, give a professional air conditioning company a call. If you can’t remember the last time you changed your filter, then it’s time to change your filter. Faulty thermostats — If your thermostat isn’t working properly, you could end up wasting plenty of money and energy. For example, if you are planning on being away from your home all day long, you might check your thermostat and forget to turn your unit up, down, or off. Depending on how it’s reading, that could be devastating for your home’s energy expenses. Coolant leaks — If your refrigerant is leaking, the AC unit will immediately stop working correctly and the temperature will fluctuate drastically. As soon as you identify any leaks, make note of exactly where it is (because the leak location will affect repairs), and contact skilled contractors who specialize in AC repair in Brandon, Florida. 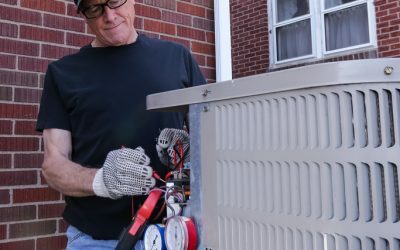 Make sure you aren’t neglecting your AC’s repair needs because you could end up having an extremely uncomfortable summer — and will likely have to shell out a significant amount of money on a new system. If you want to learn more about air conditioning repair services or other types of local HVAC services, give Complete Pro Air a call today. Copyright © 2019 Complete Pro Air.